When Yasser Arafat said in 1999, “I formally and absolutely renounce all forms of tourism” (sic). We may assume that Arafat meant “terrorism” rather than “tourism” yet that may have been an omen – certainly the two cannot co-exist comfortably and one certainly damages the other. 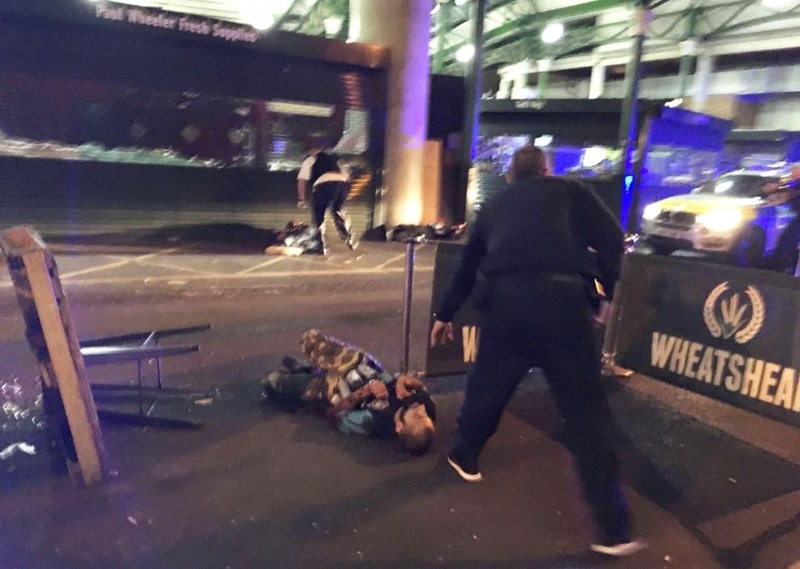 We are all painfully aware that this is not the first attack in the UK and Europe. Earlier, on the 22nd March 2017, there was the Westminster attack in London – Khalid Masood, a 52-year-old British man, born in Kent, drove a car into pedestrians on Westminster Bridge and fatally stabbed a policeman. Six people, including the terrorist and the policeman, were killed and 49 others injured. 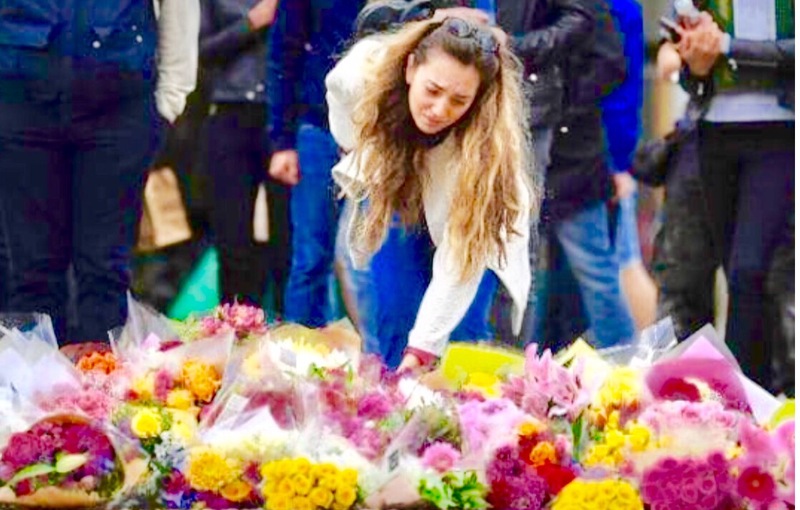 The attack was an act of terrorism motivated by Islamic extremism. And on the 22nd May 2017 the Manchester Arena suicide bombing at popstar Ariana Grande’s concert – killing 22 people and injuring 120, teenage fans and children among them. And the latest attack on the 3rd June 2017, again in London. Eleven people died, including the 3 terrorists shot dead by armed police. 48 people were injured. A white van drove at high speed across London Bridge, mowing down groups of innocent pedestrians. 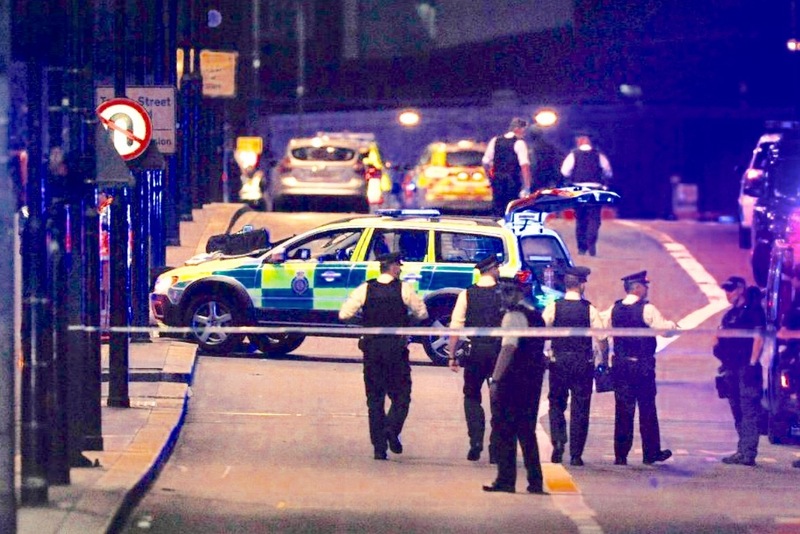 Abandoning the vehicle, the terrorists then ran amok through Borough Market stabbing people as they ran. It’s a scourge not unique to the UK. In Europe in March 2016, three coordinated suicide bombings in Belgium left 32 dead and 340 injured. The Belgian prime minister, Charles Michel, described it as a “black day” for Belgium. And in Paris in November 2015 simultaneous attacks by gunmen and suicide bombers at multiple venues; a concert hall, a major stadium, a restaurant and in bars and cafés – the shootings and bombings left 130 people dead and with more than 100 in a critical condition and hundreds wounded. The attacks were described by then President Francois Hollande as an “act of war” organised by the Islamic State (IS) militant group. It was 9/11 way back in 2001 when 2,977 people were killed in NYC. But today, even after millions of man hours and huge amounts of money having been spent fighting terrorism, the threats remain and attacks increase. So yes enough is enough. Are we too soft on extremism within our borders? I would say categorically ‘YES’. It’s time to change and it’s time to stamp out extremism in our communities. Tolerance has to be paired with common sense. If we allow isolation within our communities then the end results could lead to breeding dangerous ideological fanaticism. Without any checks and balances, this can lead to terrorism, as we have seen. Travel & Tourism has been affected. In each city where these attacks have taken place, tourism declines. Thankfully for a limited time only. Our indignation rises, as does our nationalism but what happens then? Tourism leaders must continue to work with all sectors to bring about change. And World leaders agree that change has to happen. In the fight to transform our world, to make it a more peaceful and safer place to live, there are no better ambassadors for this change than our very own Travel & Tourism industry. And what about SKÅL? Tourism and peace have been at the very core of our association since Florimond Volckaert was Skål International’s first President. In Bangkok ‘Transforming our World’ was the theme of WTTC’s Global Summit last month. The Summit set out to find out what it will take for Travel & Tourism to actively engage in and maximize its contribution to this theme. One clear message, emerging from these discussions in Bangkok, was that for transformation to occur, Travel & Tourism leaders need to stand up and be counted, and should take personal responsibility for making the world a better place. I would also add a safer and more peaceful place. Expectations of the sector are high, and these words were reinforced by both the Thai Prime Minister Prayut Chan-o-cha and former UK PM David Cameron. Terrorism was also a topic at the recent 17th SCO Summit in Astana, (the Shanghai Cooperation Organisation ‘SCO’, is an Eurasian political; economic, and security organisation) their 8 member states include China, Russia, India, and Pakistan. Together they cover a space of about 23% of the globe, comprising of 45% of the world’s population and earn 25% of the world’s GDP. The President of Belarus, Alexander Lukashenko; President of Uzbekistan Shavkat Mirziyoyev; Indian Prime Minister Modi; and Pakistani Prime Minister Nawaz Sharif indicated that the most critical issue being faced by humanity is terrorism, and SCO members must work together to defeat it. Participants of the SCO Summit also indicated that illegal migration leads to global terrorism, and the recent wave of terrorism in Europe is linked with illegal migration and instability in the Middle East. A well travelled travel writer and former hotelier, UK born Andrew J Wood is a Skålleague, with over 35 years of hospitality and travel experience. Andrew is a former Director of Skål International (SI), National President SI THAILAND, President of SI BANGKOK and is currently Director of Public Relations, Skål International Bangkok. He is a regular guest lecturer at various Universities in Thailand including Assumption University’s Hospitality School and most recently the Japan Hotel School in Tokyo.